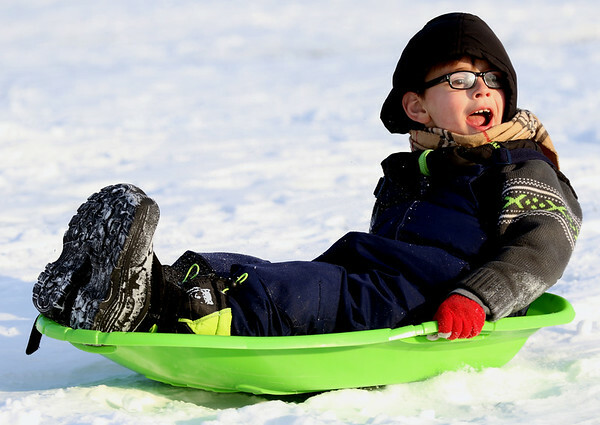 Seven-year-old Owen Higginbotham lets out a scream as he rides his plastic sled down the snow covered hill at Abshire Park on Wednesday afternoon. Owen along with his brother Ian went sledding with their grandmother, Angie. The boys declared that going sledding was “better than McDonalds,” which happened to be their other option for some after school fun.